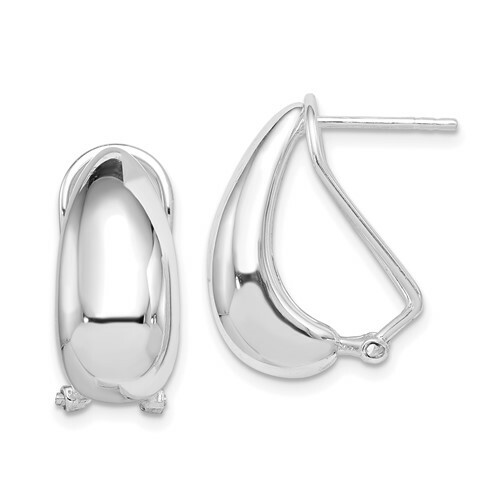 Omega back earrings are made of polished sterling silver. 3/4in inch tall. Weight: 5.69 grams. Omega-backs are perfect for comfort and secure wearing. This earring has a very nice silver presence without being overwhelming. Great earring!